The family of a murdered Island County woman believe a body recovered from a Northern California river last spring may be that of her killer. Katherine Cunningham, a 26-year-old Air Force reservist, was brutally murdered and beheaded in February 2018 on a 10-acre Camano Island property where she and boyfriend Jacob Gonzales, 33, lived together in a trailer. 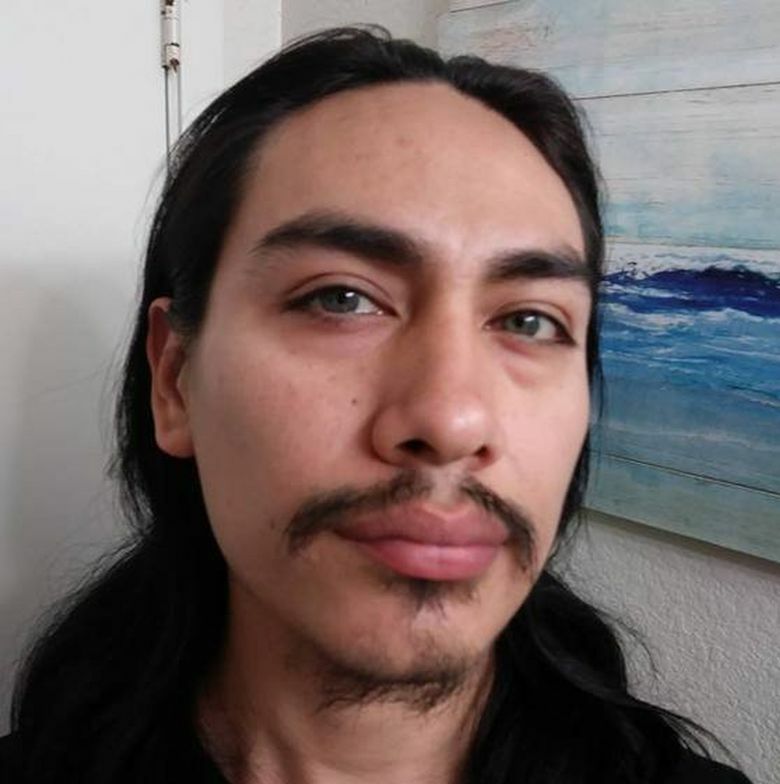 Gonzales allegedly fled Washington and abandoned Cunningham’s car in Yreka, California days after he is suspected of killing her, but police wouldn’t learn of it until nearly three weeks later. On March 3, 2018, a man interested in buying the property and several friends discovered her decapitated body in a sleeping bag wrapped in a tarp in a red wagon, according to The Seattle Times. In July, Gonzales was named the only suspect after forensic testing found his DNA on the hilt of a samurai sword stained with Cunningham’s blood, according to The Times. Though a $1 million nationwide warrant was issued last summer, Gonzales has still not been located by U.S. Marshals, though family are hopeful they now have a lead. An unidentified body was found under the 10th Street Bridge in the Feather River on April 7, 2018, and has not yet been identified by the Sutter County Sheriff’s Office. For months, the department and the Appeal-Democrat published that help was needed in identifying the body, and his two prominent tattoos were even published: a large dog or wolf with a banner reading “sheepdog” and another reading “faith” in script. The body was originally identified as female because he was dressed in women’s clothing, according to Appeal-Democrat archives. The man was 5-foot-6 and weighed around 125 pounds and had dark hair — black or brown. On the “Justice 4 Katherine” Facebook page, family members have posted pictures of Gonzales and his tattoos, including a “sheepdog” tattoo on the inside of his left forearm. Yuba-Sutter residents have noted on the page the resemblance to the John Doe’s tattoos. While the Sutter County Sheriff’s Office said it has been in contact with the Cunningham family, it has not officially identified the John Doe. “In short, the DNA sample turned out not to be sufficient so steps have been taken to obtain a second sample and we are pending notification from DOJ,” Sheriff Brandon Barnes said in an email Tuesday. Cunningham’s father, Paul Cunningham, said he’s frustrated with the lack of communication from Washington authorities. He said in a Friday telephone interview the Island County Sheriff’s Office told him over a month ago that there would be an update in two weeks, and aside from the Island County coroner, communication has been minimal and the family was lucky to get contact six to eight months after the murder. When detectives responded to the murder scene, they found a trail of empty sand bags that led from Katherine Cunningham’s body to a man-made bunker dug six feet into the ground and reinforced with wooden walls, according to The Seattle Times. Inside were two bolt-action rifles, a pump-action shotgun, a .22-caliber rifle with an altered stock and more than 1,000 rounds of ammunition. Paul Cunningham said he was told most of the firearms were found to be old, rusted and were determined to have no part in Katherine’s death. Gonzales has a prior conviction in California for taking a motor vehicle without the owner’s consent and is barred from possessing guns, according to The Seattle Times.